Our eastward route has been mostly along I-40, and will ultimately end in Florida after we complete Betsy’s chassis maintenance and visit some good friends in the Carolinas. 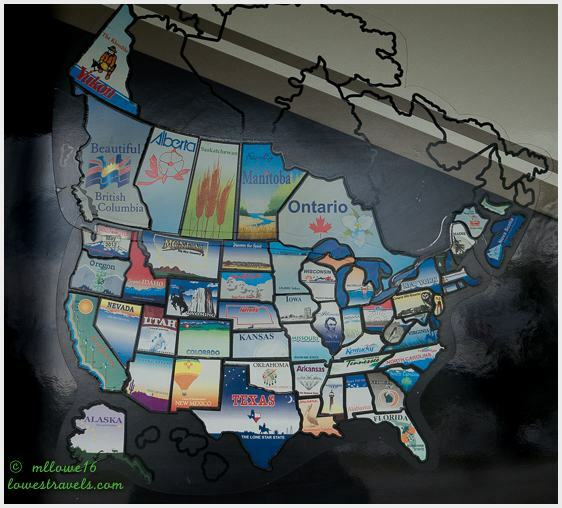 In the past month we’ve made stops in New Mexico, Texas, Oklahoma, Arkansas, Tennessee and now Alabama. 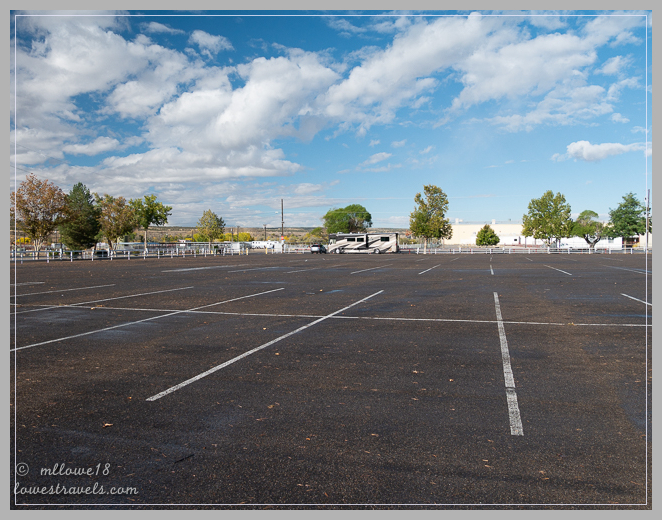 I’ll pick up today’s post where I left off in New Mexico, and try to get caught up. We’re not used to moving this fast, but there’s just so much we want to see and do before settling in for the winter! 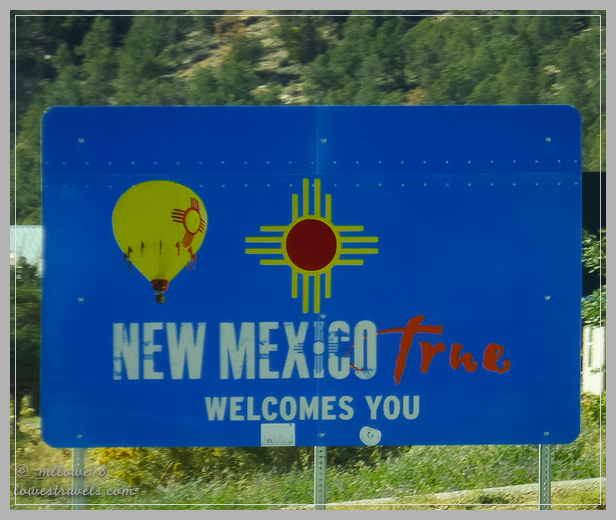 Farmington, New Mexico is in the Four Corners area, and this is where we completed our exploration of Ancestral Puebloan culture. 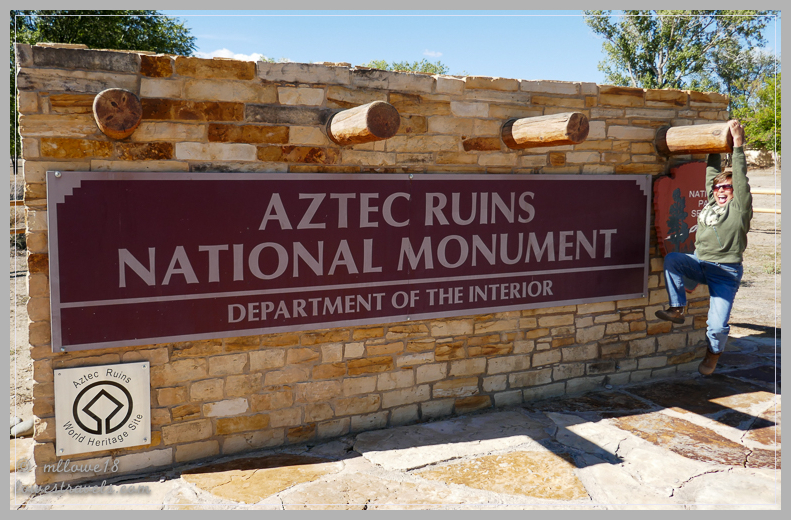 We intended to visit two ruins sites, at Aztec Ruins National Monument and Chaco Culture National Historic Site. These sites are yet another testament to the organizational and engineering abilities of the ancient culture. 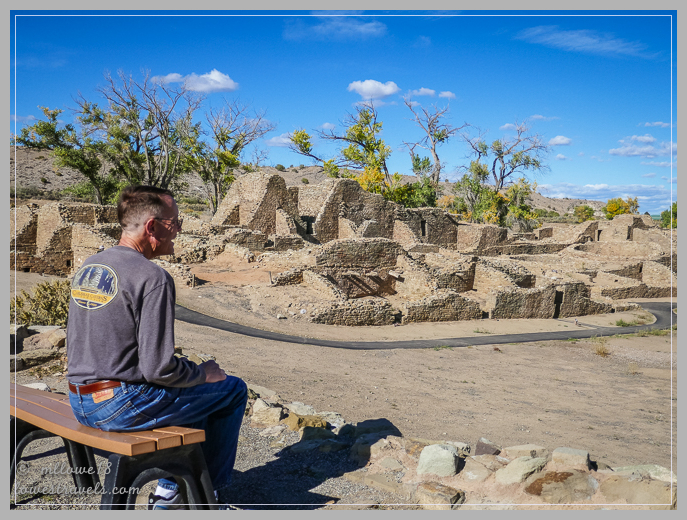 Unfortunately the recent rains and road damage took Chaco Culture National Historic Site off our schedule. We’ll save that one for next time! 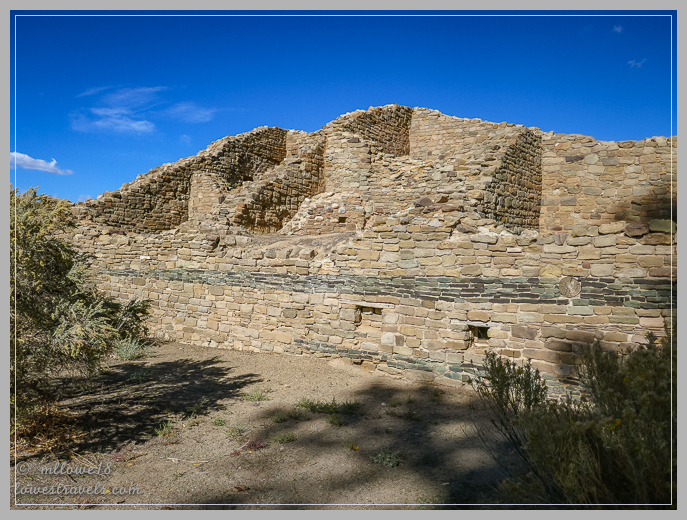 The real Aztecs never lived here, and the site actually contains ruins of a 12th-century Ancestral Pueblo settlement built by people associated with Chaco Canyon to the south. 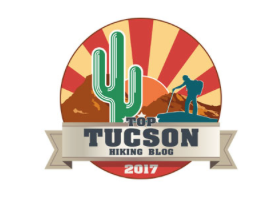 The site got its name from early Spanish explorers who commonly used the term “Aztec” when naming many of the ancient sites they encountered. Aztec Ruins contains multi-story “great houses” and smaller pueblos. We followed a trail at the West Ruin to see more than 500 rooms centered on an open plaza, many of which still had their original wooden roofs. 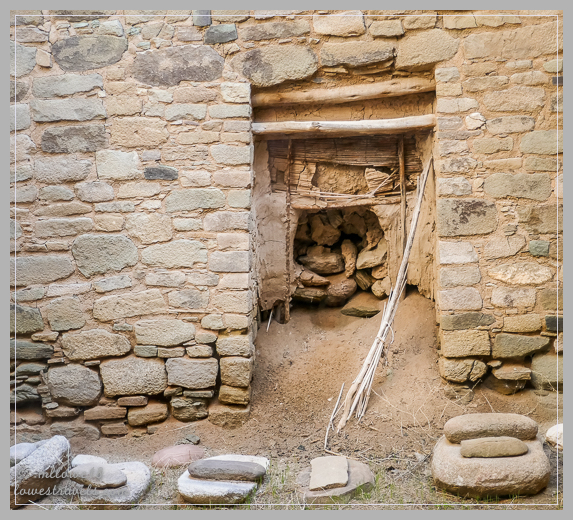 Artifacts from here offered a glimpse into the lives of the area’s Ancestral Puebloan population. Preserved low doorways led to the plaza. Even I would have to bend down to get through these! Although it’s easy to think “if you’ve seen one ruin you’ve seen them all”, we’ve learned that each community ruin has it’s own unique engineering and building style. 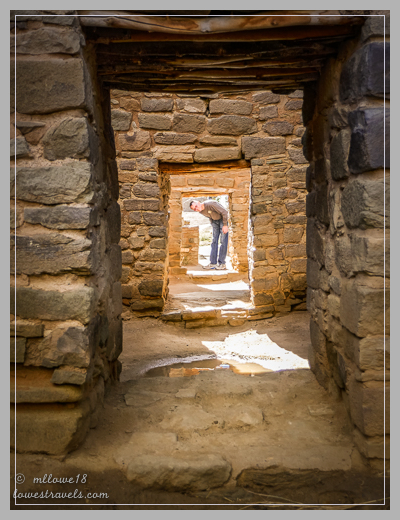 The fine masonry and quality of materials we saw here were evidence of advanced skills possessed by Chaco builders. 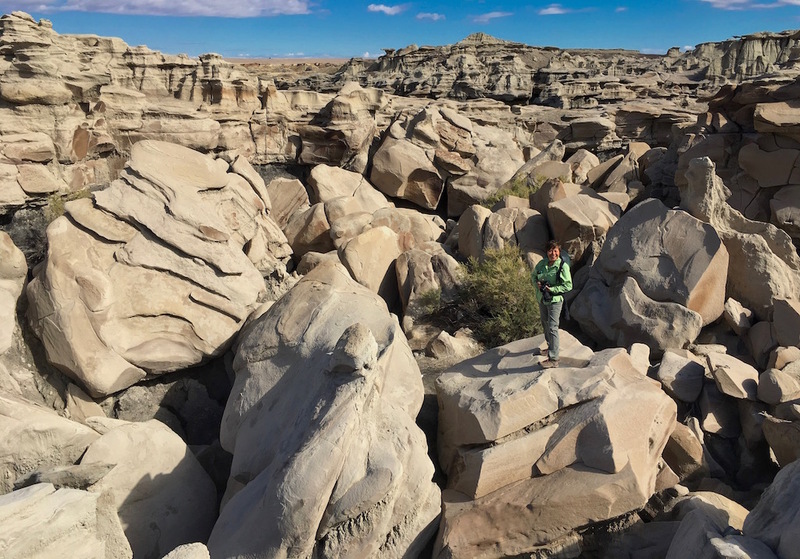 With our plans to visit Chaco Culture National Historic Site thwarted, we searched for other things to do near Farmington. 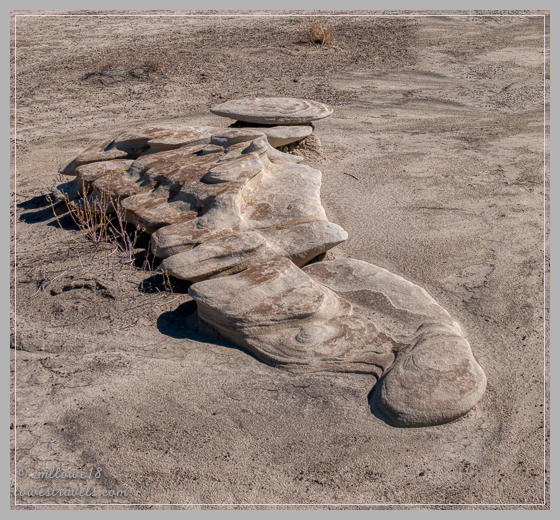 I had come across Bisti Wilderness Area during my searches of the area, an interesting place 40 miles south of Farmington. We headed there on the last full day of our stop, with no idea that we were about to have our minds blown! 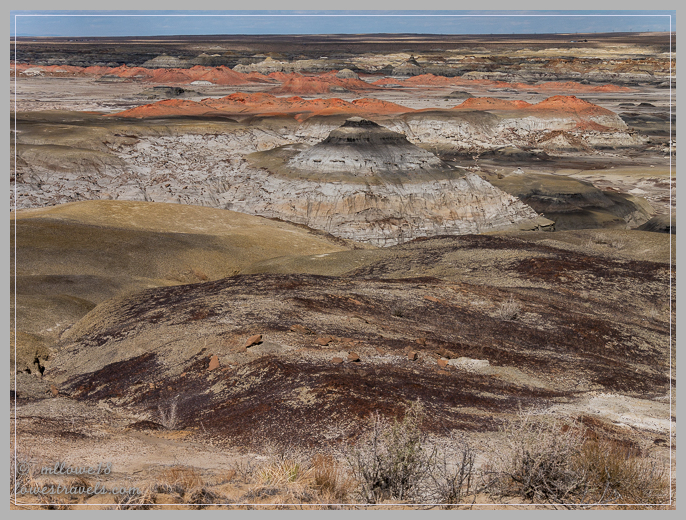 The Bisti/De-Na-Zin Wilderness is a rolling landscape of badlands, easily accessible but somewhat hidden in the high desert of the San Juan Basin. It’s a wilderness area covering 45,000 acres and administered by the Bureau of Land Management. We thought it might be similar to badlands we’d visited previously, like the ones at Theodore Roosevelt National Park in North Dakota, Badlands National Park in South Dakota, the badlands in the Colorado Plateau of Utah, the desert areas of southeast California or Petrified National Forest in Arizona. But we were in for a big surprise! 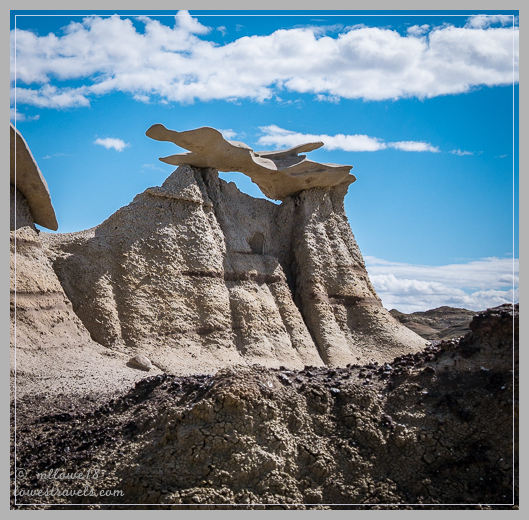 We learned that the appeal of Bisti (pronounced biz-tie) Wilderness is not it’s overall size, but rather the exquisite small-scale details – the shapes, colors and textures of its rocks. This place is a WOW! From the parking lot we got our bearings and just started walking – no established trails here! We loved that we could pick our distance and route, feeling like we were blazing our own trail and moving toward the features that interested us most. 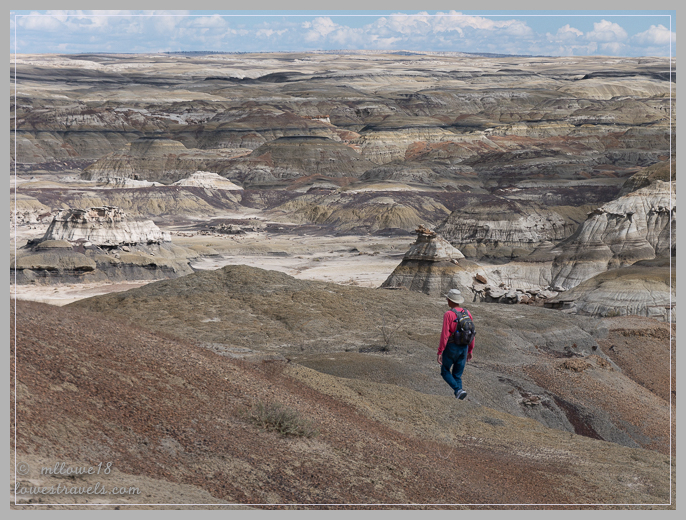 The area is large enough that we were alone amidst the colorful mud hills and endless mazes of hoodoo gardens. 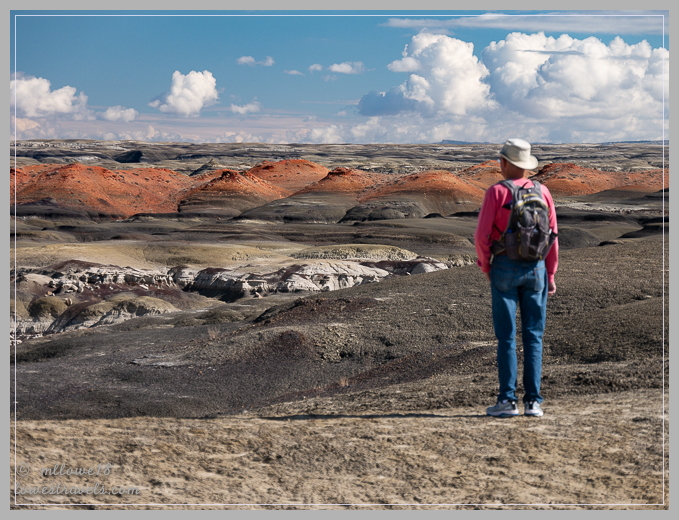 We could have spent the entire day gawking at the stunning unusual scenery, and we were glad that we were able to explore for several hours before an approaching storm sent us back to the car. 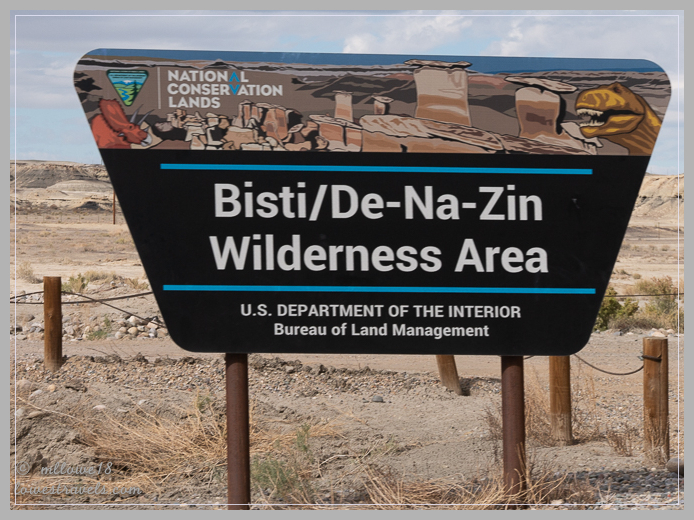 Translated from Navajo language, Bisti means “a large area of shale hills.” De-Na-Zin (pronounced Deh-nah-zin) takes its name from the Navajo term for “cranes.” Whatever. This place is amazing! From past explorations we’ve learned that the usual elements (water, wind and ice) have created the bizarre and incredibly beautiful formations in this barren landscape. 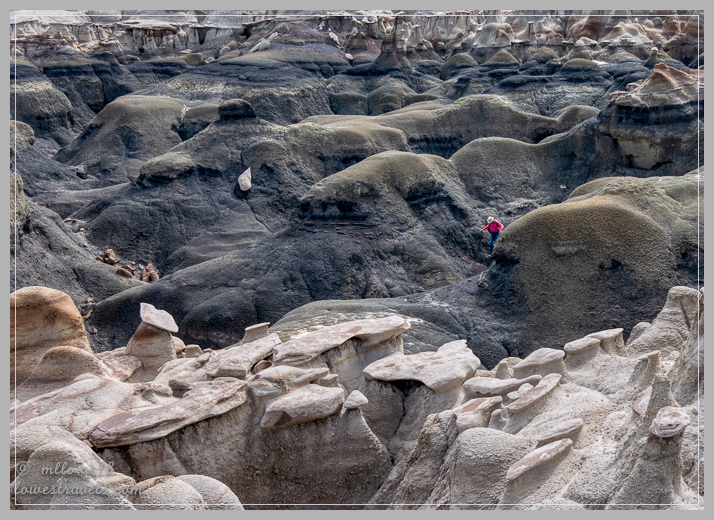 The diverse and striking scenery brought solitude, as the breeze cooled us and the hoodoos witnessed our every step. Isn’t that a bizarre formation? Yeah, the rocks too! 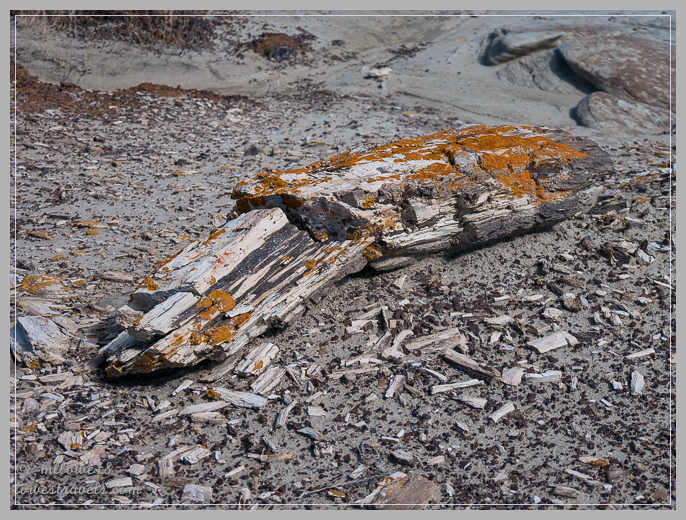 Hoodoos big and small are remnants of complete erosion of everything around them. These formations were surreal and really made our minds strain to imagine how they were formed and what the shapes reminded us of. I guess you can tell by now that we absolutely loved this place, and we highly recommend it to anyone traveling anywhere close to it. It’s mostly an easy walk, and you won’t see such diversity in such a small area anywhere else! 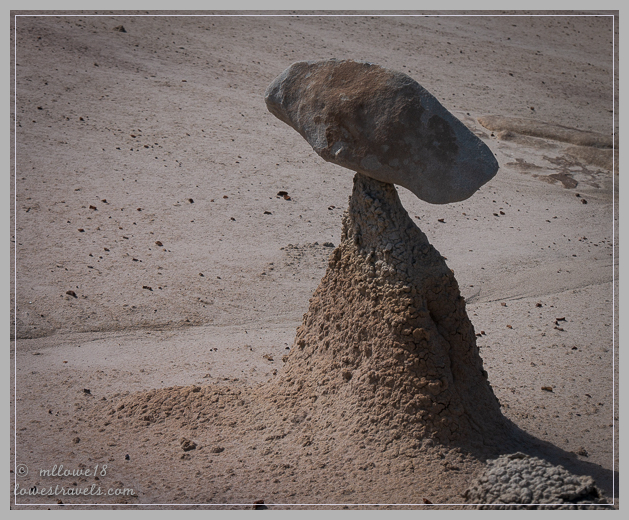 This eroded sandstone on a mud pedestal looked like it could topple over any minute! We passed through ancient forests of petrified wood and were so happy to see that people haven’t molested or removed the features here. Maybe it’s because the place isn’t so well-known – shhhhhh, don’t tell anyone! If it wasn’t a federal offense I might have considered taking this for my friends who collects interesting rocks…you know who you are! 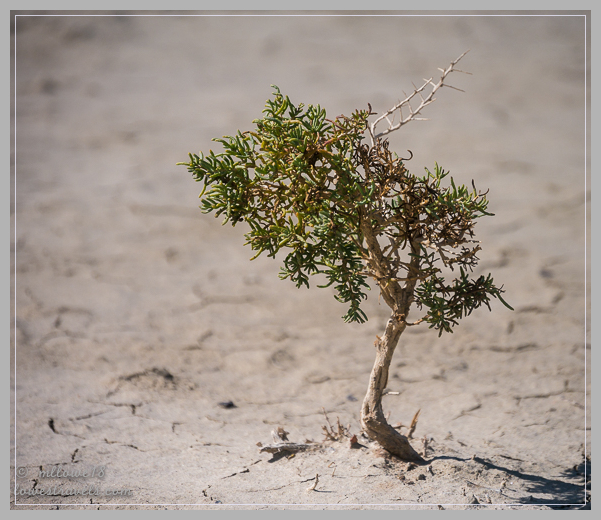 Wonderful photos MonaLiza…another place we need to explore. 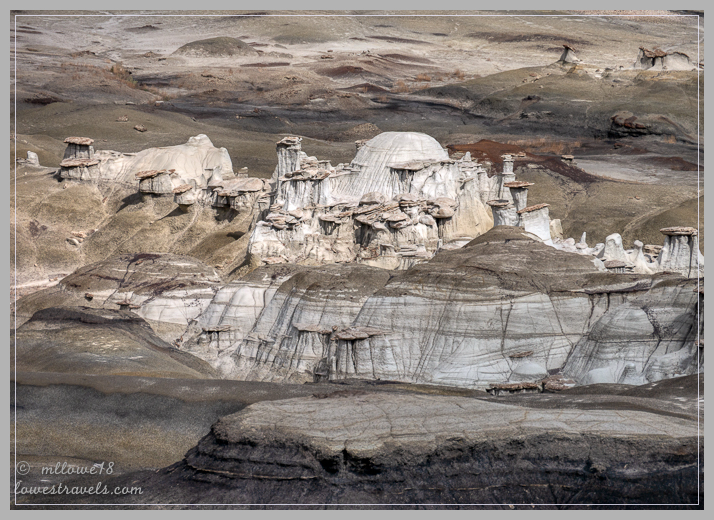 Bisti looks spectacular! I have pinned this for a future trip to NM. I have only ever read about it and now am anxious to visit. It’s a fascinating landscape and I know you will also be blown away. Thanks for the post. Another spot to add to our growing list of places to visit. So sorry you couldn’t get to Chaco. 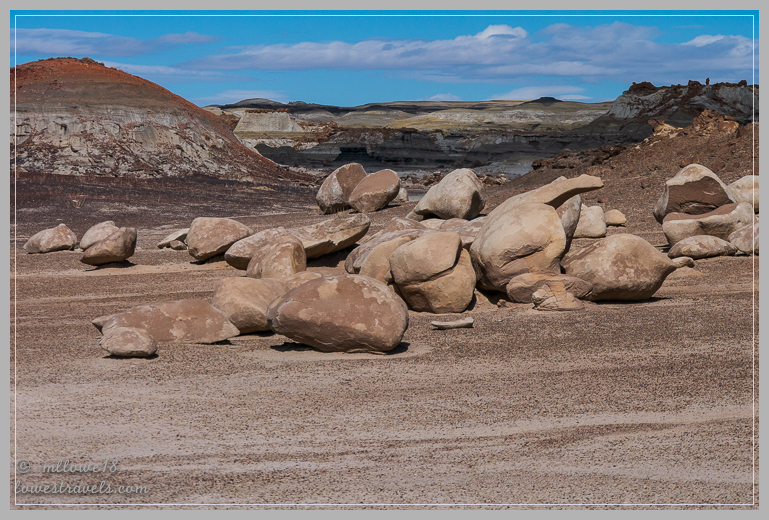 Next time for sure:) But I must say Bisti Wilderness sure was a an amazing second choice. I did read about the area but I can’t remember why we didn’t visit. Probably John wouldn’t drive again after driving to Chaco:) This is high on my list if we ever get back that way. What awesome features, colors, and amazing crazy rocks. Your photos are so great! We thought of you when we saw the amazing landscape. Do include this in your route when you go back to southwest Colorado. I just love those SW ruins. They all seem different to me if you look closely. Great picture of Steve looking through the door. I assume they all had to bend over too. No one is that short, not even me. SO sorry you didn’t get to Chaco Canyon. It’s one of our favorite places. 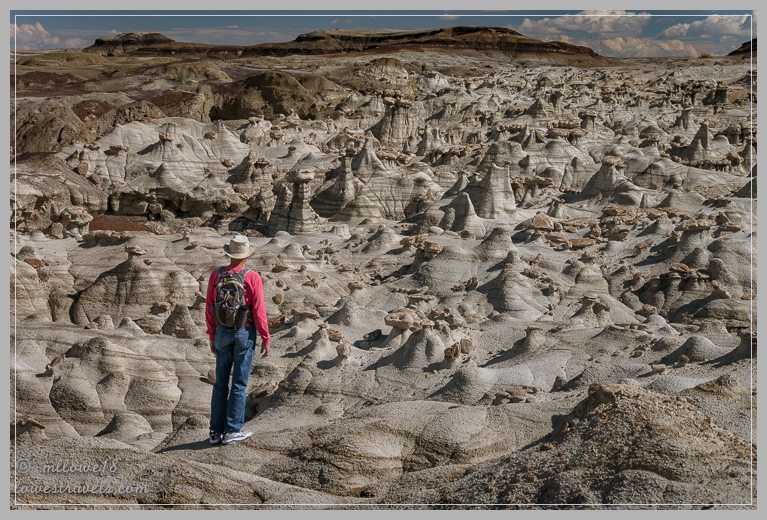 Bisti Wilderness rocks looks like an understatement from your fantastic pictures. You sure put it on my list. We’re in Florida now. Let me know where you will be. We move down the east side, up the west side and into the middle for the springs. All state parks. Would love to see you. We would love to meet you in Florida, Sherry. I will send you an email of our scheduled stops in FL. What a spectacular place, thanks for the introduction to the area. I could have suggested Bisti had I known about it when you were in Farmington. You guys are already in Alabama?? Are you going back to Dauphin Island? We have such good memories of our birding adventures with you there. 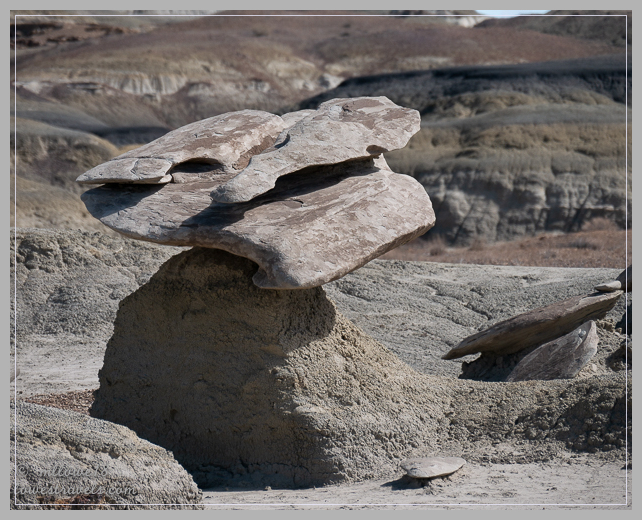 The Bisti Wilderness is absolutely magical. I was there about 25 years ago and have wanted to return, but now that I’ve seen your gorgeous photos it’s moved way up my list! It looks like you had a blast exploring and playing there. 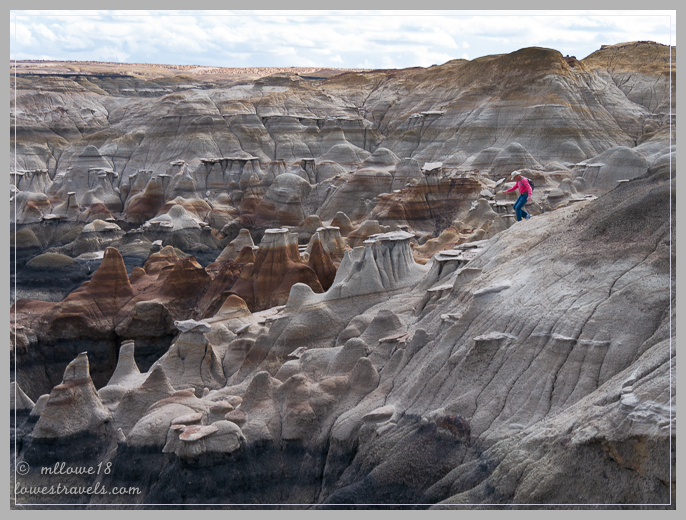 I’m glad you didn’t get lost in the maze of hoodoos! Yep we were Laurel, but in the northern part. We will definitely stop in Dauphin Island on our way west. 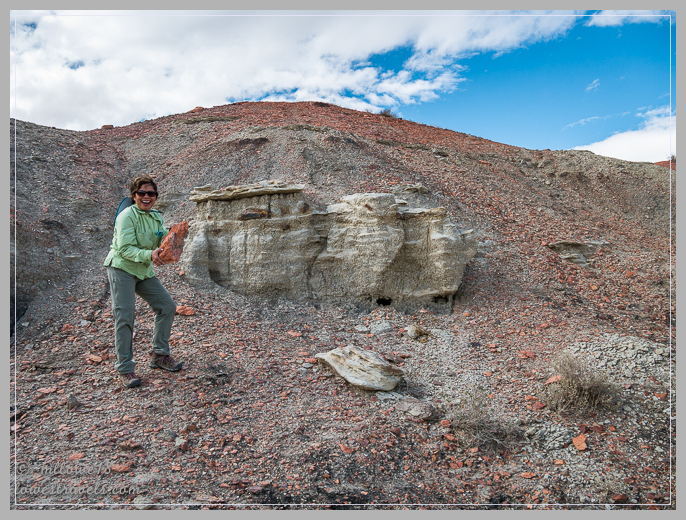 I think you should revisit Bisti so you can tell us if there is a noted difference/or changes. Wow, you finally were able to distill all those fabulous images to just a few…good job! What an interesting place, one I’ve never even heard of. That’s the fun of this lifestyle, always new and fantastic things to discover and explore. Thanks. Enjoy the winter in sunny, warm Florida! It was tough weeding through hundreds of pic but glad you ‘ve seen them all! Perhaps one day you may want to stop by there, and Lewis can tag along. Thank you so much for sharing your photos with us! I’ve never seen anything like that and it was an adventure just to look at them. 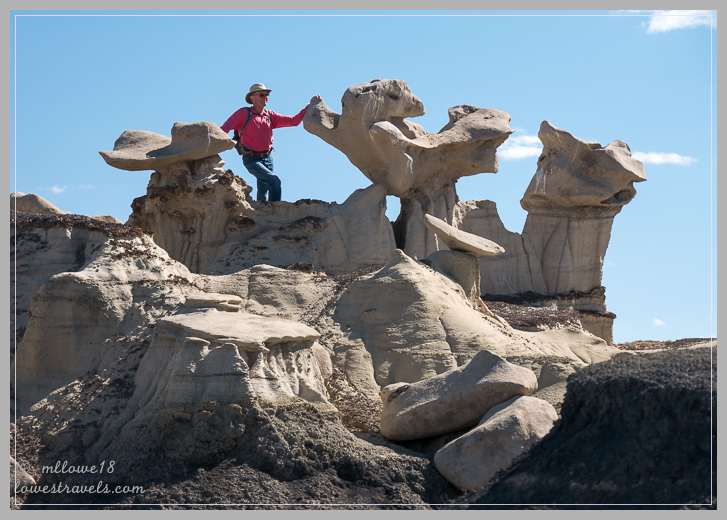 You are so welcome Nancy, so glad I could share with you the fantastical hoodoos! 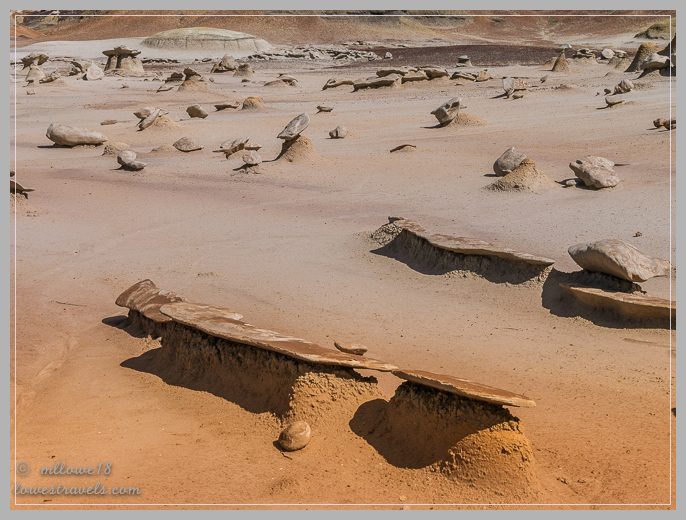 Bisti has been on my radar for quite some time and looks like it’s definitely worth exploring. Amazing land! Hope you’re finding agreeable weather and now that you’re along the coast, I hope you’re capturing lots of bird images. Jealous! 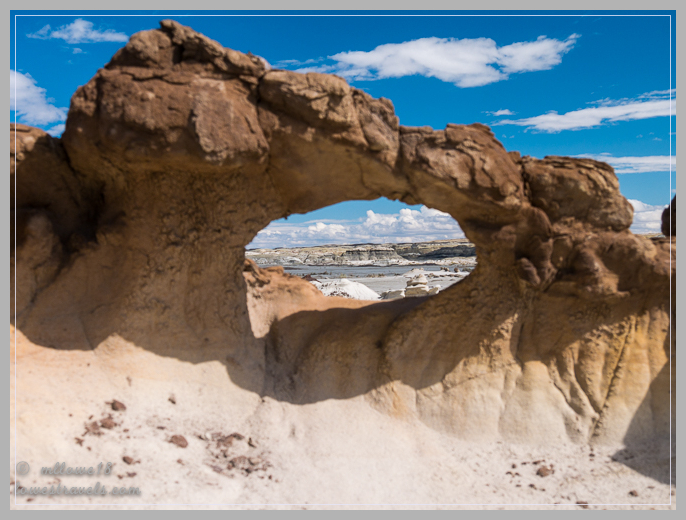 I was so glad Bisti Wilderness came out of my searches and we would have missed it. I think that your camera will be on overdrive when you get here. It is just a wonderful wonderland. Isn’t it crazy how after all these years of traveling full time and all these years of reading others’ travel blogs, you’re still finding new places that blow you away? What a cool find! ‘Otherworldly’ is truly the best descriptor, I think. And, even better, you had it all to yourself! I’m glad you guys are still finding awesome spots, even when you’re moving faster than usual. Safe travels! 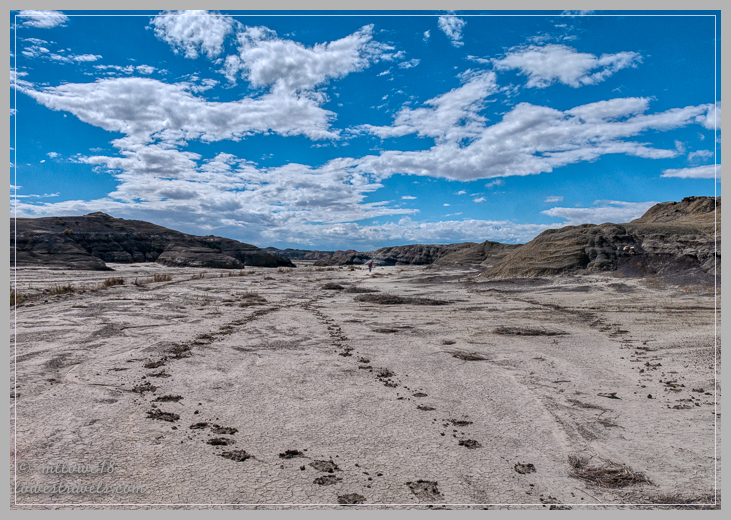 Missing Chaco was a blessing for wandering in Bisti was more exciting! And yes, it seems there are still hidden gems to discover and explore. 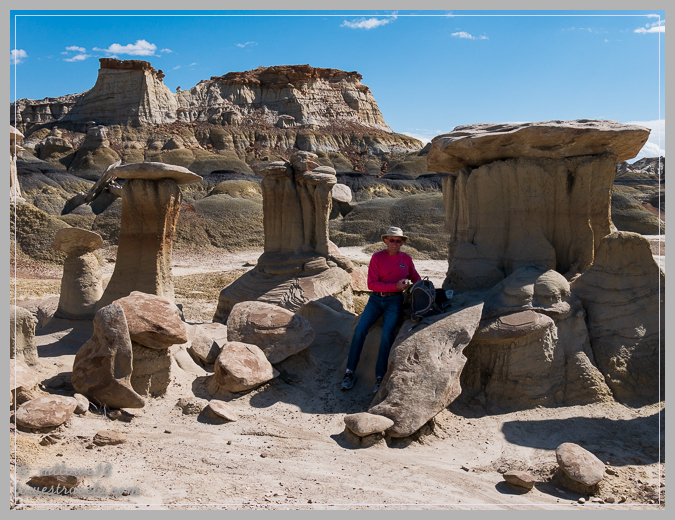 Some friends visited Bisti last year and loved it, too. That was the first we had heard about it. It’s always fun to hike where there are no trails, especially with all the cool rock formations. Rock formations always gets us and then solitude is the bonus. It was a great and wonderful wandering! WOW, that Bistie Wilderness looks awesome! Thanks for taking me there! Hey, maybe you guys should drive this way next year. 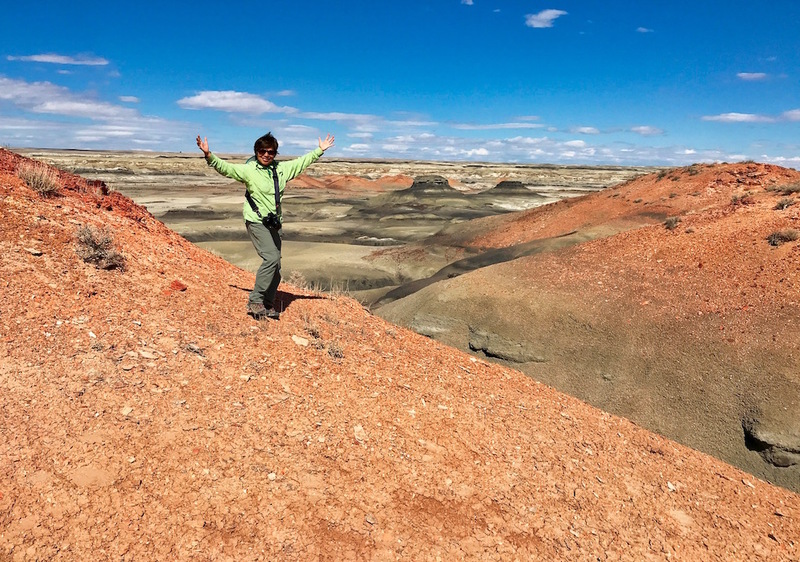 If you finally find your home in AZ, Bisti will just be a quick jaunt. Biz-tie! I totally would’ve messed that up! We have so much of the enchanted New Mexico yet to see. I hope the southeast is good to you & Betsy sails through her checkup. Looking forward to some delightful tropical tales from you this winter! Yes, agree there are still so many hidden gems in the land of the enchantment. We are looking forward to better weather in FL than where we are now and cant wait to be there!